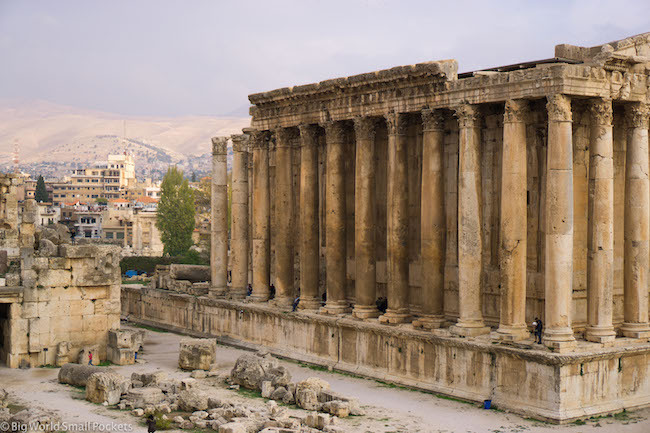 For a tiny country, Lebanon spans an incredible range of worlds; from the hipster bars and cafes of Beirut to the conservative and remote areas of its borders, it crams a lot in. There’s also a wide range of climates this country packs in too – from the snowy mountains to the beaches of the Mediterranean – this is indeed a country where you can ski and sea swim on the same day. 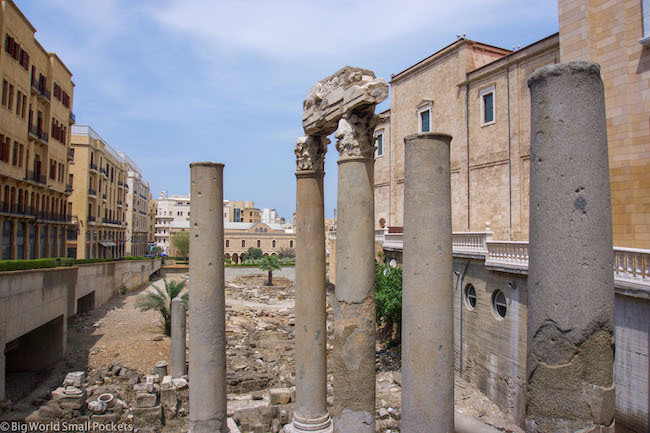 And of course, that’s not to mention the hiking, the historic sightseeing, the city strolling and the chaotic souk shopping you’re likely to do too. But all this diversity can make packing for a trip to Lebanon a little challenging, especially if you’re planning on travelling light. 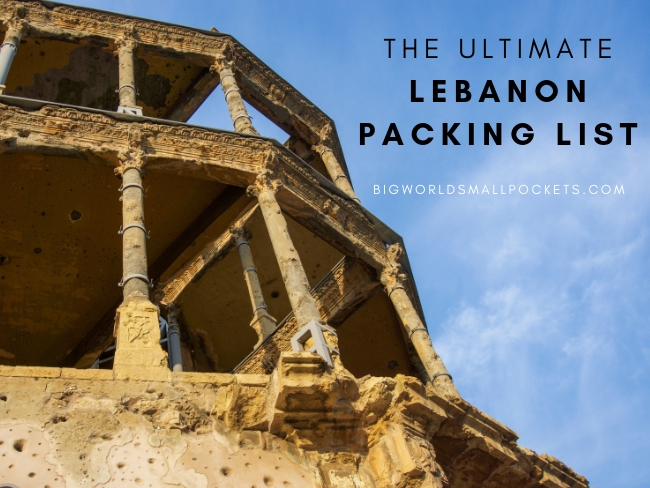 However fear not, because I’ve created my ultimate Lebanon packing list which has been carefully honed after 4 visits to the country. Especially designed for female travellers, because that’s what I know best, this checklist is easily adaptable for men too. 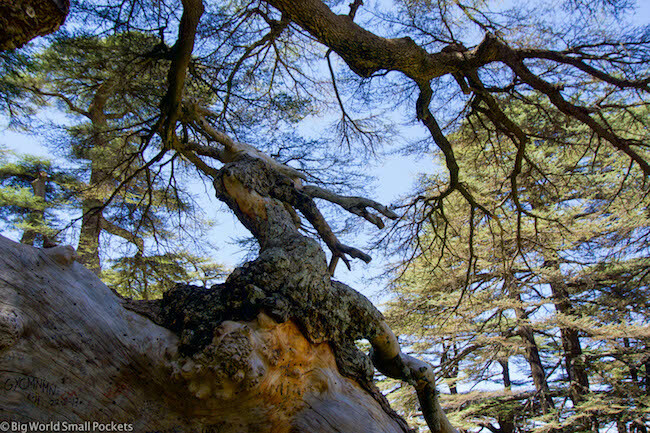 So dive in and start getting excited about your amazing travel adventure to Lebanon now! 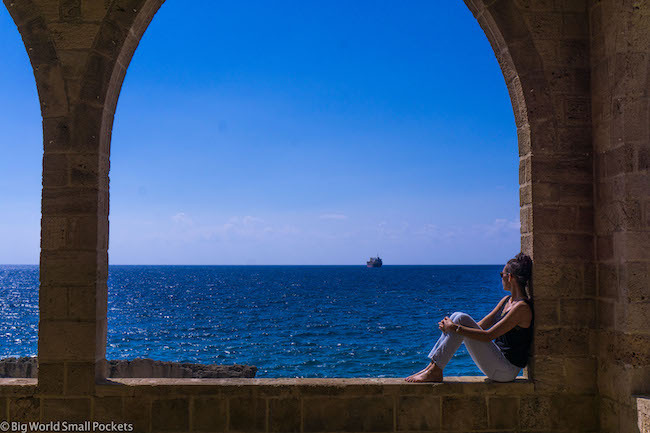 Solo Female Travel in Lebanon : Is It Safe? 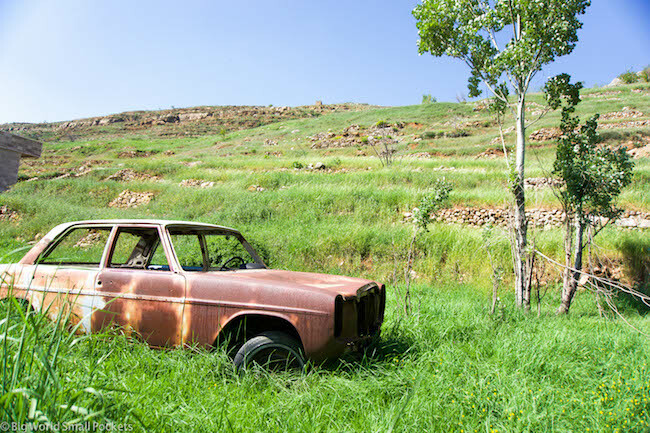 Lebanon has a Mediterranean climate, but with so many mountains around it really can rain anytime… even summer storms in coastal Beirut aren’t unknown. As such, I recommend taking a rain jacket with you to this country – something thin, compact but practical would be ideal and this North Face Venture 2 is perfect. Ditto a thick sweater when it comes to keeping warm in Lebanon! 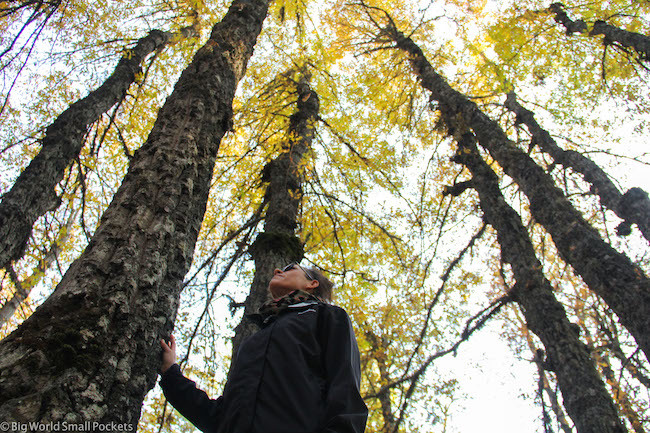 Temperatures can drop in the spring and autumn evenings even in Beirut, and if you’re heading into the mountains for any hiking or camping you’ll want to make sure you’re going to be warm enough. Great for layering if you’re hiking in Lebanon, going up to the mountains, or travelling there in the changeable shoulder seasons of Spring and Autumn, I always love a natural fibre long sleeve top for a bit of extra warmth! Helpful in the evening and /or if you want something a bit smarter during the day. I’m loving the denim shirt look right now! One of my travel essentials, especially ideal when you’re exploring out in the beautiful nature of Lebanon. Leggings are also good under a casual dress in the fresher evenings or are comfy to wear on any bus rides. Great for going out in the evening or wandering around cities like Tripoli or the ruins of Baalbeck when you’re likely to feel a little uncomfortable in anything short or revealing. Well you’re going to need something for those beach days right? Also fine to stroll around more liberal parts of Beirut in the sweaty summer months with shorts on. 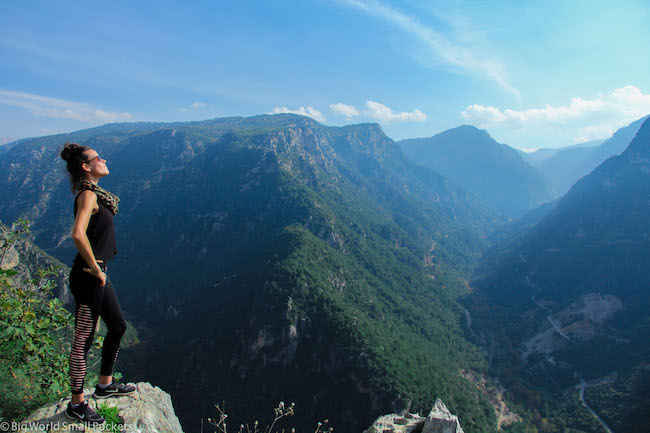 Perfect for hiking out in the beautiful reserves and remote areas of Lebanon or, if you fancy doing a yoga class at one of the many Beirut studios! A great item for Lebanon beach times. Easy to pair with leggings for a casual evening look. You can’t take enough sarongs travelling in my opinion and, as they are so light, I recommend 2 as a minimum. Perfect for using as a beach towel, a scarf, a bathrobe, a sheet, a laundry bag … the list goes on. Check out my post about the 20 reasons why you should always take a sarong travelling for more ideas! These ones from One World Sarongs are great. Choose a range of colours and styles that match the trousers / shorts you’ve selected, including more dressy tops for the evening and casual loose ones for the day. 7 is a good number as it means you have enough to survive without doing laundry for a week! Small and compact, 8 pairs is a good number to save you a lot of washing duties! Try to go 1 if you think you can and make extra use of your bikini or sports bra instead! You are a grubby backpacker after all! Compact and quick to dry – a must in my travel pack, I love this black one from Nike. Well you need something to enjoy those fabulous beaches with, that’s for sure. I always love Rip Curl’s offering. 2x normal length pairs for outdoors stuff, 3x ankle-length pair for city days. You can always double up on your daywear here to save room if needs be! Whether you want to bring a cap or a floppy, large designer number, the choice is yours. 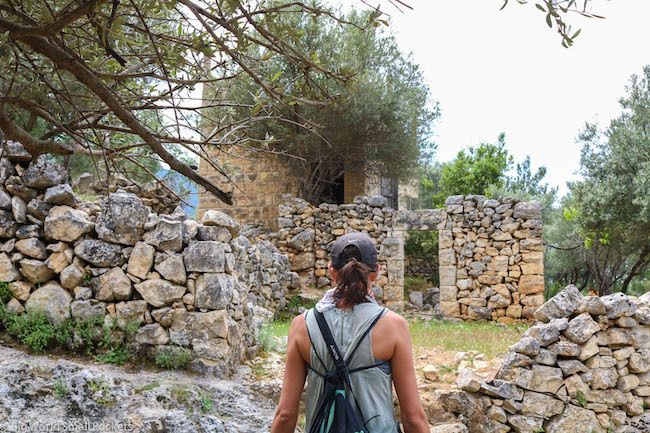 Just make sure you bring a sun hat of some description because walking all day in cities or ruins or mountains during Lebanon’s summer heat can be tough! I love this design from Hello Sunshine. Necessary ladies if you’re wanting to visit any mosques in Lebanon. Download your FREE Check List! Just enter your email address below and I'll send it to you for FREE! Versatile, comfortable and essential if you want to see the all the sights in this epic country. I highly recommend New Balance who create stylish city runners that you can still wear when doing your outdoors stuff too. Known as thongs for the Aussies among you and Jandals for the kiwis, for the rest of us, flip-flops are an essential for summer in Lebanon. Personally, I love my Birkenstocks, which I basically lived in during my time in the warmer months here. The support they offer means you can sightsee to your heart’s content and never get sore soles! 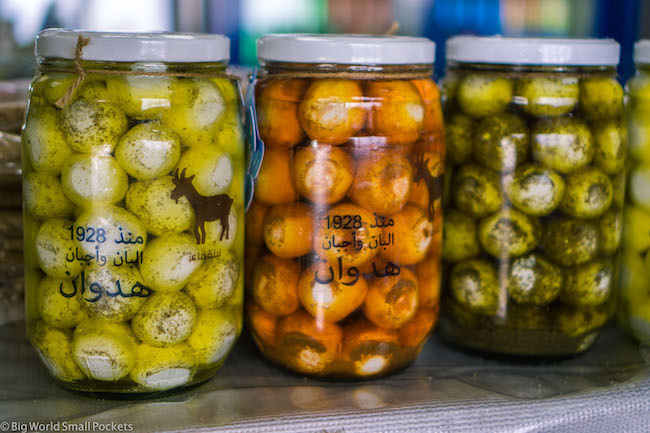 A great addition to a Lebanon packing list because there’s no doubt that you’ll be hitting a bar or 2 at least for one night during your time in this city’s capital. To hook or not to hook, that is the question! Either way, just make sure it is light and thin. I also go for shampoo and conditioner bars when I travel to save the plastic and keep the space down! Although they are a bit pricey, they last for ages. Say goodbye to mid-travel spillages and bulky bottles people, this is the future! I always pack a natural crystal deodorant when I travel as they last forever and are free from many nasty chemicals. Keep in a ziplock bag to prevent soap slime getting on everything you own! Great for doing emergency washing such as underwear in a sink, travel handwash is always a must when I backpack anywhere. 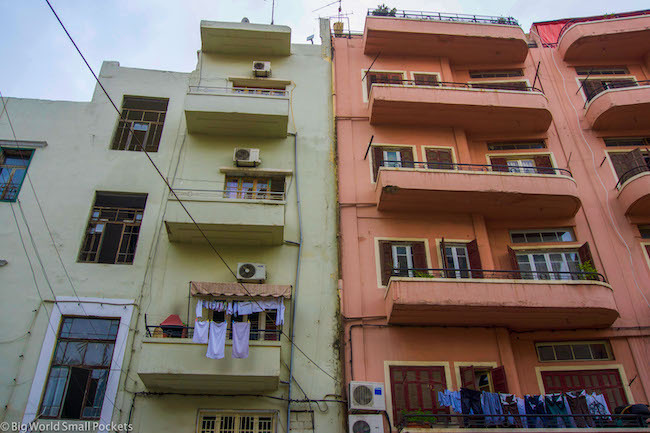 Check out Beirut Hostel if you’re looking for some well-located and affordable accommodation in Lebanon’s pricey capital. Choose a 30 SPF or higher for those hell-strong summer rays in Lebanon and go natural if you can to keep the chemicals out of your skin. This doubles as a great moisturiser, soother and aftersun. Very important for those UV conditions and salty sea swims. Burt Bees are always my go to as they never dry out my lips. See my post about how to make your own DEET-Free insect spray or else there are plenty of ready-made products on the market like this great one. An ideal remedy for headaches, sore muscles and insect bites, tiger balm is super versatile. A powerful antiseptic, anti-mould, anti-fungal treatment. Also great to throw in a few drops with your washing and ideal for freshening up smelly bags / laundry etc. Get an organic tea-tree oil if you can. Key for sleeping on overnight plane journeys and in hostels. This eye mask from Alaska Bear is super comfy. The only medicine you need to take! There’s so many pharmacies in this country you’ll be able to get almost anything you need anyway! The best way to deal with your time of the month when travelling ladies. Check out the best prices for them here. This whole packing list should fit into a 40l backpack – I never travel with anything bigger and love this great example from Berghaus. I recommend Latrek, because they are cheap, compact, soft and don’t smell. Good for hiking and beach days, this one from PacSafe is perfect. Very useful for locking up bags and valuables when staying in hostels, these don’t have to be expensive, just reliable! Lots of people say you don’t need this, but I find it very helpful. Choose a light, inexpensive one and make sure it has a bottle opener, corkscrew and knife – like this. Try to get a metal one and steer any from those nasty plastics. Buying a big bottle of water and refilling it is much cheaper and more environmentally friendly than continually buy small bottles, because Lebanese tap water definitely ain’t drinkable! A VPN service is a must for me when I travel, especially in high risk countries. I love NORD VPN who offer a great service and more global servers for a truly quick and seamless connection. Every hostel in Beirut has free wifi, so bring your own device here and surf away! Taking your smartphone to stay in touch with those at home, checking maps and uploading some pics while you’re in Lebanon is a great idea. Also download some audiobooks and music onto your phone before you leave home – a good shout for travel days. I recommend Amazon Audible and Spotify Premium for these purposes and wouldn’t go anywhere without either these days. Portable power packs are great when travelling without a solidly reliable charging source, like in Lebanon, where power cuts are a daily occurrence! I recommend the Anker PowerCore which allows me to charge both my phone and my camera – BOOM! 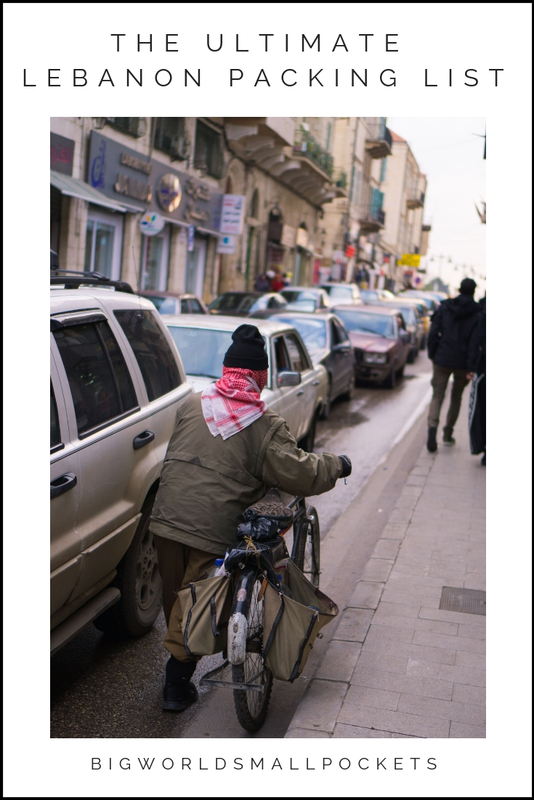 I love my Sony A600 mirrorless camera, which I’ve used across the Middle East and beyond. Light, compact and study, it’s perfect for travelling. Take a large memory card if possible – like this 64GB one. Might not be a bad idea to double up in case you lose it or fill it up either. High speed memory cards are also good for better processing times. How you going to charge otherwise? Lebanon has the same type of plugs as continental Europe, so get a cheap adapter here! Otherwise, you can splash out on a worldwide adapter – better value if you’re travelling elsewhere after the Middle East or anytime in the future! Skross are a great brand that I highly recommended. Never travel without a headlamp and try to choose a product that uses commonly found batteries and has a red night light function. I love my Black Diamond Storm, which served me well during Lebanon’s frequent power cuts! Definitely take a colour copy of your passport with you to Lebanon and keep it with you at all times. There are multiple checkpoints across the country and it’s necessary to have at least a copy of your passport with you if you get stopped. Depending where you’re from of course. 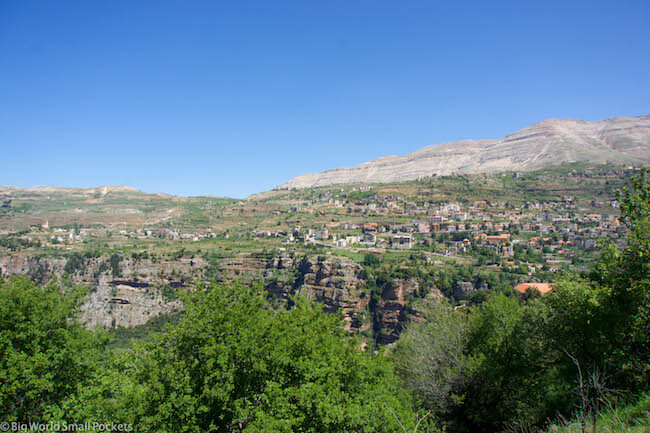 Many nationalities can get free tourist visas for Lebanon on arrival – hoorah! Just make sure you don’t have an Israeli stamp in your passport! Always good to have with you wherever you travel. Can’t go wrong with the excellent travel insurance from World Nomads in my opinion. I’ve used them during my travels in the Middle East, Africa, Australia and beyond. ATM’s in Lebanon are plentiful and accept both Mastercard and Visa. They tend to dish out both USD and Lebanese Pounds. Bring US Dollars, which are used interchangeably with Lebanese Pounds here. 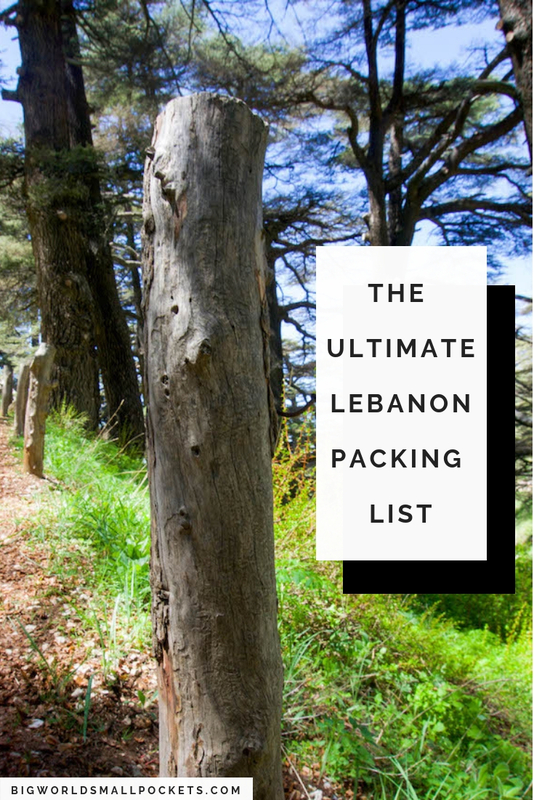 So that’s it, my complete Lebanon packing list. Have you been to this gem of a country? What else did you pack that I might have missed? Your list is a lifesaver! It perfectly fits for every trip, no matter where you go. I almost had everything that you mentioned, except Nordvpn provider. I just bought it, and it seems everything works as it should! I’m excited. Leaving on 23rd of March. Packing dilemma as usual. I’m older. 60. This is my birthday gift as I was born in Beirut. Haven’t been since early 7i’s. I’ve decided on a suitcase to bring back gifts. Each trip I take less and less. This one stumps me because we will be visiting friends of my parents. My motto is I can always buy something to wear. I no longer do cotton shirts. Too much wrinkle. Good tip on water bottle. My Lebanese friends said don’t eat salad at restaurants. Only at someone’s home. I’ll be taking belly meds for sure. 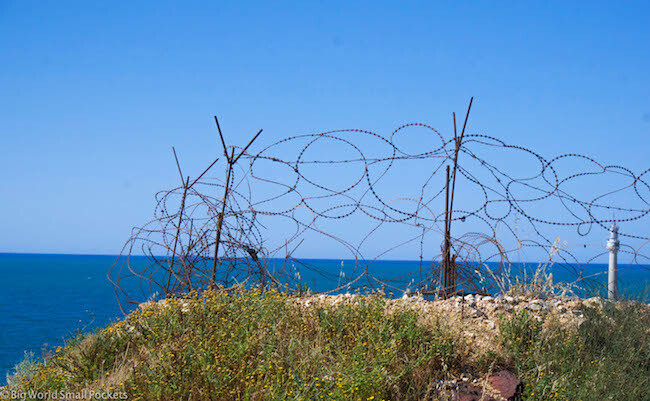 Leaving fir Lebanon on Mar 27th. Carry on only and packing during spring is always a challenge! Mid 60’s (farenheit) would be chilly in Texas where I live but wuite nice in Europe. Wobdering if its the same in Lebanon?